Beautiful wooded tract in French Creek Township, Edwards County. With about 23 acres of pine trees, marketable timber and the perfect food plot, this property could be your hunting paradise or a nice setting for a country home. 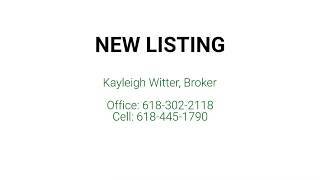 Give me a call for a private showing or for more information. Directions: Off Red Hill Road turn East onto Co Rd 325W. Then East on Co Rd 300N 1.3 miles. OR From Illinois 130, turn West onto Co Rd 350N. Turn South on Co Rd 580E and West on Co Rd 300N for half a mile.